CarGurus has 21,058 nationwide Wrangler listings starting at $2,499. Following an interior redesign for 2011, the Jeep Wrangler gets a more powerful, more fuel-efficient V6 engine for 2012, and according to reviewers and owners, the upgrades have greatly improved the Wrangler in terms of comfort, driving dynamics and performance. 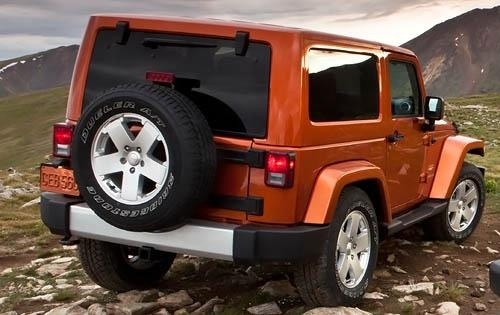 In keeping with its off-road character, the 2012 Wrangler still has a few rough spots, such as safety features, and its road manners on pavement will never match that of a typical family sedan. The 2012 Jeep Wrangler feels and rides like a Jeep, which is a good thing when off-roading and not quite as good when tooling around the city. However, the powertrain improvements alone should continue to keep the Wrangler far ahead of its competition, which includes the Dodge Nitro, Suburu Forester and Nissan Xterra. With a heritage that goes back to the 1940s and a reputation as one of the most capable off-road vehicles available today, the Wrangler gets even better for 2012, thanks to an upgraded powerplant, enhanced drivability and a higher level of refinement. During the Wrangler's interior revamp in 2011, Jeep upgraded the cabin's materials and surfaces, and added such features at heated seats, automatic temperature controls and power mirrors. In addition, the automaker enlarged the windows, providing better visibility for the driver and passengers, and added a USB port to the vehicle's audio system. Outside, however, the Wrangler retains its iconic look, thanks to such design features as classic round headlights, a signature 7-slot grille, removable doors and windows, a fold-down windshield and a variety of convertible/removable tops and half-doors. Trim-specific updates include a new optional hardtop for the Rubicon trims, previously available only on Sahara trims. In addition, Jeep has improved the Wrangler's soft-top mechanism for easier attachment and removal. For 2012, Jeep offers the Wrangler at Sport, Sahara and Rubicon trim levels. The 2-door model sits on a 95.4-inch wheelbase and seats 4 passengers. 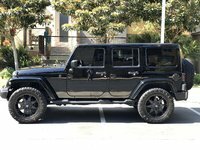 A 4-door, 5-passenger Wrangler Unlimited model is also offered, and is covered separately here at CarGurus. 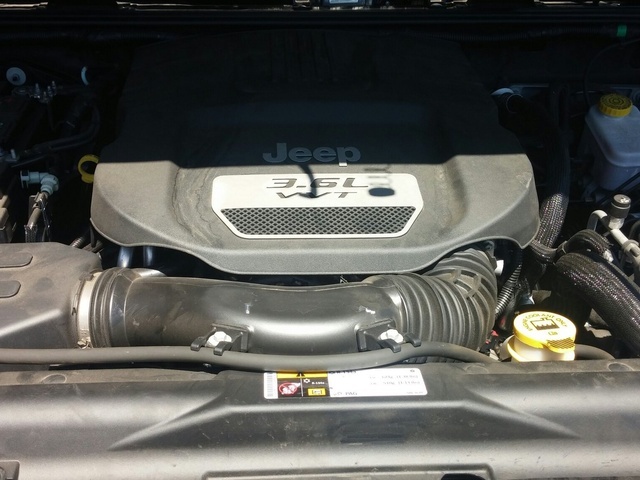 A new 3.6-liter Pentastar V6 engine, which also powers such vehicles as the Jeep Grand Cherokee, Dodge Durango, Dodge Charger and Volkswagen Routan, now drives all Wrangler trims. 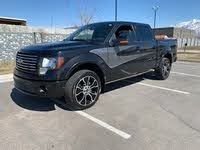 It replaces a 3.8-liter V6, which generated 202 hp. Even though the new V6 is lighter and more compact than its predecessor, it boosts the ponies to 285 hp, representing a significant improvement over the previous V6. In addition, torque increases by 10 percent to 260 lb-ft. As a result, the Wrangler moves ably along, with plenty of power for off-road maneuvering. However, gas mileage remains poor for the 2012 Wrangler, which posts fuel economy numbers of 17/21 mpg, on the low end for similar vehicles of its size. All trims come standard with a 6-speed manual transmission, which the automaker notes is the first time the Pentastar V6 has been paired with a manual shifter. In addition, the automaker offers a new optional 5-speed automatic transmission, which replaces the previous 4-speed unit. Shared with the Grand Cherokee, the new automatic transmission operates in a more efficient RPM range, improving fuel economy, and enables the vehicle to accelerate more quickly, according to the automaker. The automatic-equipped Wrangler Unlimited now accelerates from 0-60 in 8.4 seconds, which is 25 percent faster than with the previous shifter, while the 2-door trims make the same trip in 7.7 seconds. In addition, the new transmission has a lower first-gear ratio, which provides better capability when off-roading. Speaking of off-roading, Jeep offers the Wrangler with two trail-rated 4WD systems. Standard on the Sport and Sahara trims, the Command-Trac system splits torque 50/50 between front and rear axles. It features a transfer case that gives drivers the ability to shift on the fly and a 2.72:1 low range, with a neutral setting for towing. For additional torque on low-traction surfaces, such as sand or snow, owners can opt for an available Trac-Lok limited-slip rear differential. The Rubicon trims come equipped with the Rock-Trac 4WD system, which includes a Brake Lock Differential, Tru-Lok electronically locking differentials and electronic sway-bar disconnect, as well as a transfer case with a 4:1 low-gear ratio. The Wrangler has a 2,000-pound towing capacity when equipped with the optional Trailer Tow Package. The package includes Trailer Sway Control, which works with the electronic stability control and antilock brake systems to reduce trailer sway and improve handling in adverse weather or road conditions. Although the Wrangler, which was built to handle rugged terrain, will never deliver the ride of a luxury sedan, it now feels more refined during daily around-town driving. Thanks to its lighter, more powerful engine, the Wrangler accelerates quickly and smoothly, and additional sound baffling for 2012 results in a quieter cabin. However, some reviewers say the Wrangler still handles like a small truck, and there's some body lean in corners. 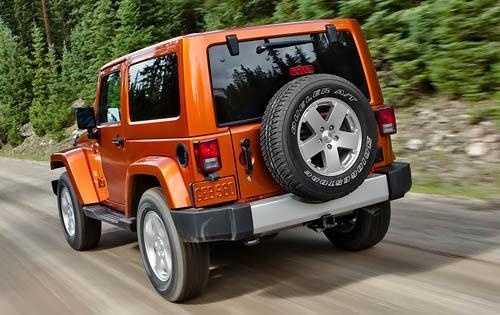 The Jeep Wrangler’s ruggedness is what attracts most buyers to the line, and that remains a top selling point for 2012. The Wrangler features a body-on-frame design and sits on a front and rear 5-link suspension system, with live axles and electronic lockers. The Rubicon gets an enhanced performance-oriented suspension. Skid plates on the Wrangler's rugged underbody protect it from rocks and debris, and with 10.2 inches of ground clearance, a 44.6-degree approach angle and a departure angle of 40.6 degrees (both best in class), the Wrangler can handle rough terrain as well as any other off-road vehicle, if not better. In keeping with its rugged nature, the Wrangler can be equipped with a range of off-road-friendly tires. The Sport comes standard with 16-inch steel wheels with Goodyear Wrangler on/off-road tires, while the Sahara gets 18-inch cast-aluminum wheels with Bridgestone Dueler on/off-road tires. Standard on the Rubicon are 17-inch cast-aluminum wheels with BFGoodrich Mud-Terrain on/off-tires. Owners can add optional 18-inch wheels on the Sahara. In addition to a new powertrain, the 4-passenger Wrangler receives a few interior updates for 2012, including a redesigned steering wheel and armrests, as well as a locking glove box. 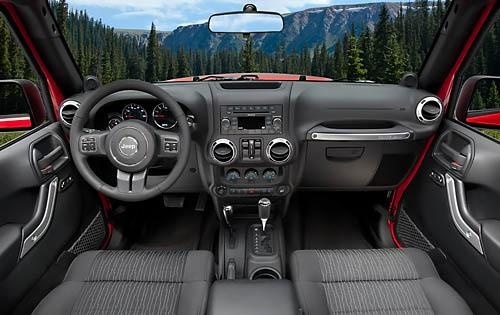 Thanks to the 2011 upgrade, the Wrangler's cabin now balances modern comfort and conveniences with a certain level of functionality and ruggedness. For instance, the sculpted dash and side door panels display earthy tones, while soft-touch surfaces add a level of refinement. But the Wrangler still sticks to its rugged roots, so features like drain plugs in the floor, in case owners need to wash out the cabin, remain. The Wrangler Sport comes equipped with such features as cloth seats, a height-adjustable driver's seat, a rear Fold-and-Tumble seat and a tilt steering column. In addition, it also gets Jeep's Uconnect media system, which includes a 6-speaker audio system with steering-wheel-mounted audio controls. The full-metal removable doors include roll-up windows. A Sunrider Soft Top comes standard. The Sahara and Rubicon both add air conditioning, a leather-wrapped steering wheel, power windows and door locks, and remote keyless entry. In addition, their audio systems upgrade to a 368-watt, 7-speaker Infinity unit with a subwoofer and SiriusXM satellite radio. Owners can add an upgraded Uconnect system with a 6.5-inch touchscreen, DVD player, HD radio, GPS navigation and 40GB hard drive. Leather upholstery and heated front seats are also available for the Sahara and Rubicon. 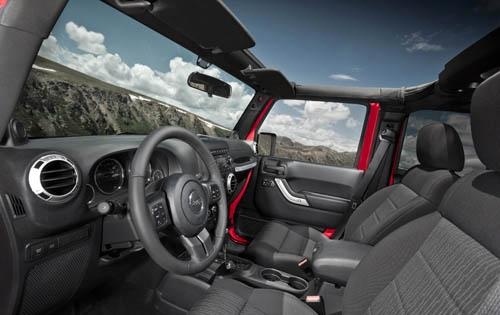 Jeep offers a number of optional packages for the Wrangler, including the Sport S package, which adds such features as air conditioning, power windows and door locks, and a leather-wrapped steering wheel to the base Sport trim. A Freedom Edition package offers unique cloth seats and special floor mats, as well as exterior badging and tubular side steps. A Call of Duty package also adds unique mats, as well as a logo grab handle, performance suspension, hood power bulge, rock rails and winch-capable heavy-duty bumpers. Safety features remain a sore spot for the 2012 Jeep Wrangler. The IIHS gives it a top rating of Good only for frontal impact crashes, while it receives a Moderate rating for rear-impact crashes and a Poor rating for side-impact crashes. Front airbags come standard on all trims, but side-impact airbags are not available on 2-door Wranglers. Other safety features are present, however, including traction control, stability control and Hill Start Assist. The upgrades of the past couple of years have impressed Wrangler owners. The new Pentastar V6 provides plenty of power, which is especially helpful when off-roading, owners say. The Wrangler's ride and handling have also improved, but many owners note that this is still a Jeep, and so caution against expecting too much from it. For instance, The Wrangler can tend to wander at higher speeds, and it's definitely not designed with families in mind. In addition, some owners report having build-quality problems with their Wranglers. But overall, owners say that the Wrangler remains a tough, rugged vehicle with much better road manners, thanks to the recent improvements. 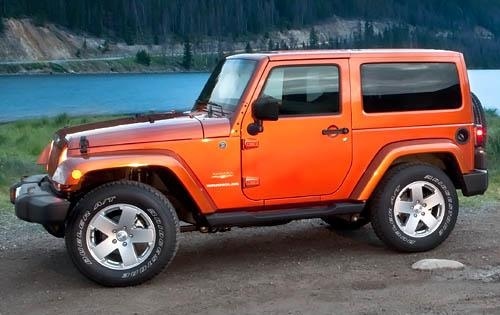 What's your take on the 2012 Jeep Wrangler? Users ranked 2012 Jeep Wrangler against other cars which they drove/owned. Each ranking was based on 9 categories. Here is the summary of top rankings. 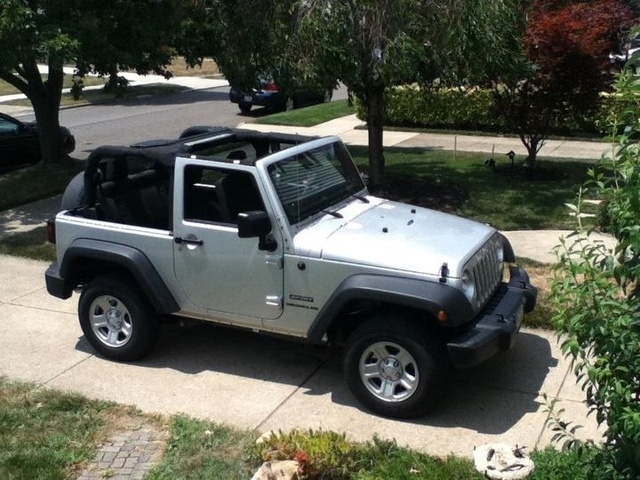 Have you driven a 2012 Jeep Wrangler? Im trying to re-open my listing.